In this study, the effects of cutting speed, feed rate and depth of cut on surface roughness in the hard turning were experimentally investigated. AISI 4140 steel was hardened to (56 HRC) .The cutting tool used was an uncoated AL2O3/TiC mixed ceramics which is approximately composed of 70% of AL2O3 and 30% of TiC. Three factor (cutting speed, feed rate and depth of cut) and three-level factorial experiment designs completed with a statistical analysis of variance (ANOVA) were performed. Mathematical model for surface roughness was developed using the response surface methodology (RSM)associated with response optimization technique and composite desirability was used to find optimum values of machining parameters with respect to objectives surface roughness. The results have revealed that the effect of feed is more pronounced than the effects of cutting speed and depth of cut, on the surface roughness. However, a higher cutting speed improves the surface finish. In addition, a good agreement between the predicted and measured surface roughness was observed. 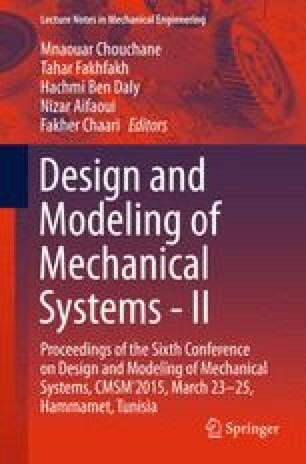 Therefore, the developed model can be effectively used to predict the surface roughness on the machining of AISI 4140 steel with in 95% confidence intervals ranges of conditions studied.